Minneapolis–St. Paul International Airport (MSP) has non-stop flights from Tokyo, London, Paris, Amsterdam, Rome and Reykjavik as well as throughout Mexico, Canada and the Caribbean. Average flight times from around the United States are just 2.5 hours. MetroTransit offers light rail connecting the airport to downtown as well as public transit throughout the Minneapolis-St. Paul metro area. This great city even has a bike share program, Nice Ride, with a station right next to the Carlson School of Management as well as throughout the city. Conference sessions will take place at the University of Minnesota, which offers multiple transportation and parking maps and options. University Paratransit Service is available to conference attendees. And if you’ve got extra time, here are two great resources for food and attractions: On the Green Line, a guide to the neighborhoods accessible from nearest metro line to EPIC2016, and The West Bank, a guide to the EPIC2016 neighborhood. The new Courtyard Minneapolis Downtown is .3 miles from the Carlson School of Management and .5 miles from the Ted Mann Concert Hall, the two main conference venues—map these locations. It offers contemporary rooms and suites, free Wi-Fi access, a restaurant, fitness center and heated indoor pool, and other amenities. A limited number of rooms are available at a special conference rate to EPIC2016 attendees (book before August 6): call 877-699-3216 and request “EPIC conference group block” or reserve online. 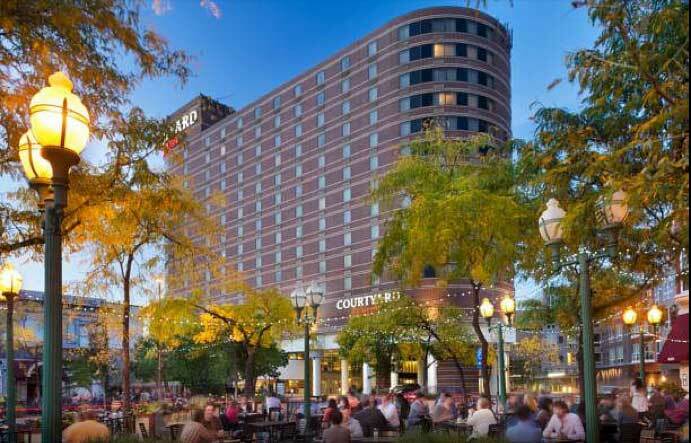 These hotels are walking distance from the main conference venues, as well as easily accessible by light rail or taxi.